This adorable Christmas Gift Idea is perfect for kids of all ages. 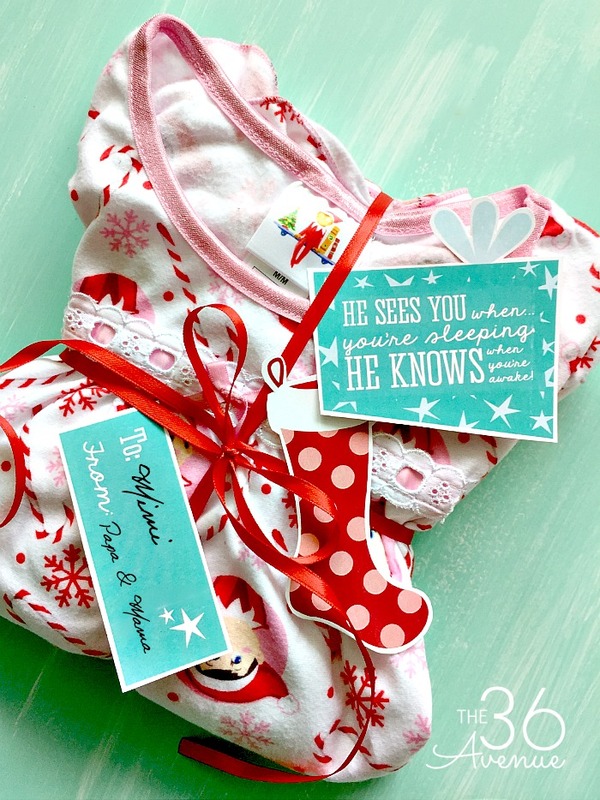 I designed the gift tags in two different colors, all you need to do is print the free Christmas Gift Tags below, cut them, and attach them to the pajamas to complete this cute present! I love handmade gifts, or Christmas Gifts that have a personal touch. Today I’m sharing with you this free printable and one of our favorite Christmas Traditions. Let’s take a closer look! We open our first Christmas Gift of the year on Thanksgiving Night. Each member of our family gets new pjs on this special night! After we have our Thanksgiving dinner as a family we decorate our Christmas Tree and all of us sleep under it that night. This is my favorite night of the year. We’ve been doing this with our kids since they were little and all of these years later we still love each other’s company, cuddling under the blankets, and falling asleep under the christmas lights. It is amazing to me how the smallest things can have the greatest meanings in our lives. For this gift all you need are PJs and the printables. and matching family PJs HERE! Now that you have the pajamas all you need to do is get the printables below! 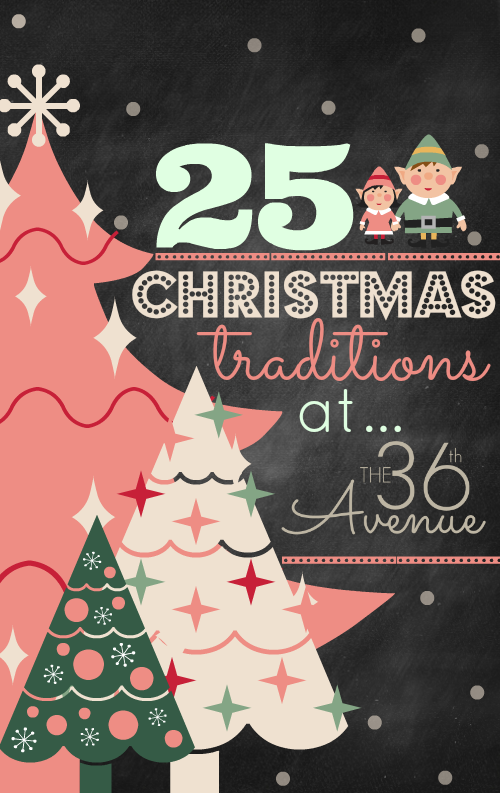 25 Days Of Christmas Traditions – Click HERE…from our family to yours! Our children always received a gift of new coordinating holiday pajamas on Christmas Eve, so they could wear them to bed that night (it made for great photos as they were opening their gifts on Christmas morning and helped mom make beautiful scrapbook pages later). Those tags are the perfect way to adorn a gift of holiday PJ’s. My children are both in college now, but the tradition of giving them new pajamas on Christmas Eve continues. I might just have to use these tags on their packages this year. I absolutely love the ideas you have listed in your 25 Christmas Traditions! Some are similar to things we have done over the years, but there were a lot of new ideas as well. Thanks so much for sharing!